Plastic recycling is poised to play a greater role in the economy in 2015 than ever before. The use of plastics is pervasive throughout every aspect of commerce and society, especially in many large-scale industrial practices. The result is a steady stream of post-industrial plastic waste that poses risks to human health and environmental well-being on a grand scale. In 1973, the first PET (polyethylene terephthalate) plastic bottle was produced, and quickly began to replace glass bottles. By 1977, some recycling facilities began to accept PET, but it wasn’t until Coca-Cola began using recycled PET bottles in 1991 that the demand for recycled bottles reached a healthy volume. Meanwhile, in 1986, the State of California passed the California Beverage Container Recycling and Litter Reduction Act, which imposed deposits on the sale of plastic bottles, along with aluminum cans and glass. More recently, Americans have drastically increased their consumption of bottled water to a current 28 billion bottles, more than any other nation on earth. The result is a parallel increase in the amount of plastic waste. It is estimated that 70% to 80% of those bottles end up in the landfill, rather than in the recycling stream. A fuller understanding of plastic scrap and waste emerges when the rates of recycling are broken down by type of plastic. In 2012, for example, a more impressive share of plastic bottles were recycled, at 28% for HDPE and 31% for PET bottles. Other sources like the American Chemistry Council and the Association of Postconsumer Plastic Recyclers report that by 2012, as the volume of consumption for sodas and other beverages sold in plastic containers continued to expand, so did the rate of recycling. Every member of society is a consumer on some level, and nearly everyone touches or uses plastic on a daily basis. A quick glance around the home or office tells the story. Plastic is used for bottles, food containers, cups, casual dishware and utensils, grocery or trash bags, toys, and even diapers. Plastic bottles are used to contain all kinds of industrial liquids, chemicals, and consumer goods like cleaning and personal care products. Larger-scale industrial uses find plastics in the manufacture of computer components and other electronics, electric appliances, automobiles, manufacturing equipment and more. Municipal solid waste, or MSW, is what we generally call garbage, including all the things we throw away—everything from plastic packaging to furniture. The costs to communities for collection, handling, and disposal or recycling, are immense, and inadequate planning to cope with the stream of MSW can have long-term economic and health consequences. Plastics have become a growing part of the total MSW stream, expanding from 1960 when it totaled just 1%, to 2008 when it reached 12%.3 Recycling is key to reducing the cost of handling and storing waste, as well as controlling its impact on landfill, water resources, and quality of life. Plastics manufacturing is a major consumer of petroleum by-products, that is, products that are processed out of petroleum refining and natural gas production. The impact of sourcing and processing the oil and natural gas used to make these products is one more factor in measuring the impact of plastics on the environment. According to the U.S. Energy Information Administration, an estimated 191 million barrels of petroleum by-products were used to make plastics in 2010, totaling nearly 3% of the entire U.S. petroleum consumption. Oil extraction and processing is a major source of air pollution, greenhouse gases, and climate change. In the U.S., we currently have unused capacity to recapture and process a much greater percentage of post-consumer plastics than is currently being achieved. 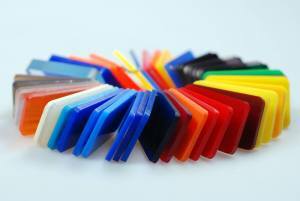 Opportunities exist to fill unmet demand for recovered plastic resin. 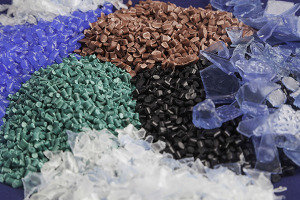 However, the complexities of plastics manufacturing, as well as the different methods for breakdown of recovered or reclaimed product, require matching demand for recycled PET or HDPE with specific product manufacturers. PET is primarily used as fiber for textiles, carpet, and fleece jackets. HDPE can be used to make landscape and garden products, while LDPE (low-density polyethylene) bags and films go toward making lumber for fencing or decks. Plastics manufacturers looking to gain in cost savings or meet environmental impact goals may be overwhelmed by the challenges of identifying appropriate markets for moving surplus waste effectively. Few recycling companies can claim the 70-year history of a vendor like Polychem USA, and the market knowledge that goes along with their experience. A middleman company solves the problem of understanding when and where one plastics market around the world is more advantageous than another, and what requirements must be met to achieve the best pricing. Ask your recycler to provide a thorough analysis of your company’s surplus waste, as well as any further needs or requirements, before they devise their detailed, customized recycling solution.